The E. L. Patton Bridge over the Yukon River along the Dalton Highway. 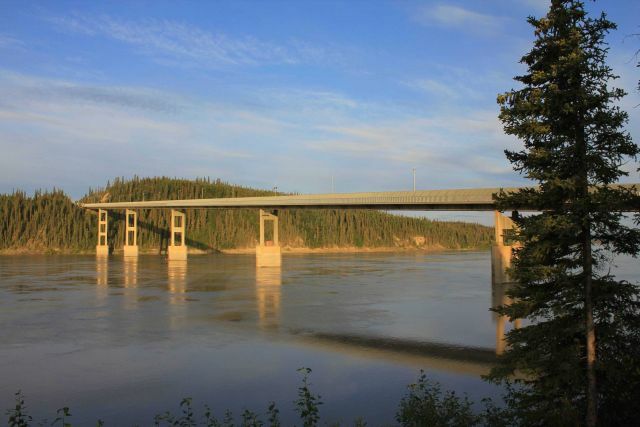 This bridge does double-duty, supporting both car and truck travel between Fairbanks and Deadhorse, Yukon Territory, and also the Alaska Pipeline. This bridge is only 40 miles below the Arctic Circle at Lat. 65 52 N., Long. 149 43 W.